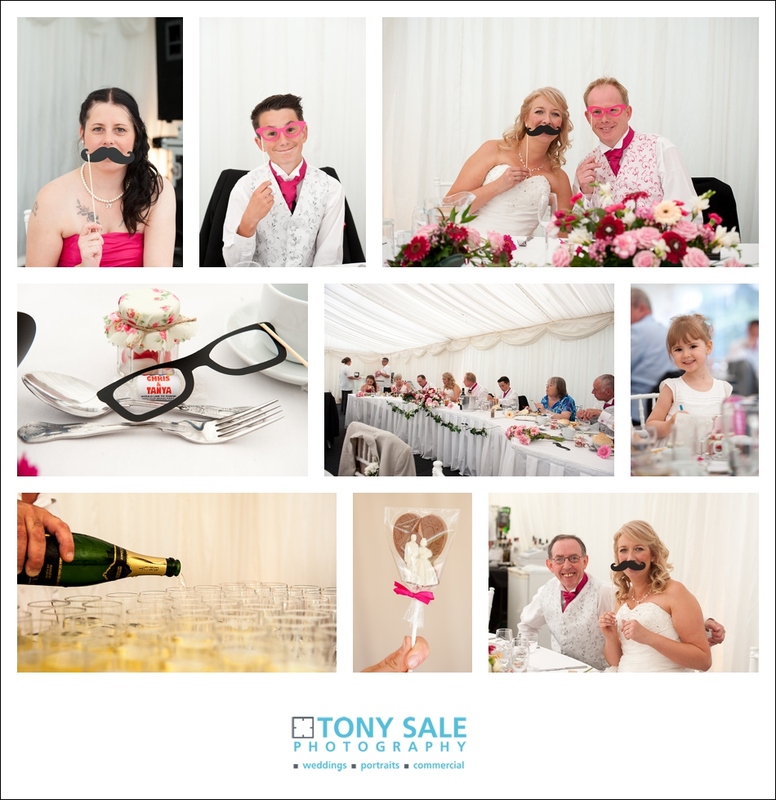 It was such a joy to photograph the wedding of Tanya and Chris in my home village of Gosfield in North Essex. We had met up a few weeks previously when we did a pre wedding photo shoot, on that occasion they had been a little nervous at the start but soon settled in to it, we got on really well together and produced some great images. It was wonderful therefore to see them again on their wedding day. We started the day doing some getting ready shots at Tanya’s parent’s house, who also live in the village. Tanya was there with her daughter, Kirsty and her two other bridesmaids, Claire and Rachel. They were all very relaxed and very much enjoying that special time together. 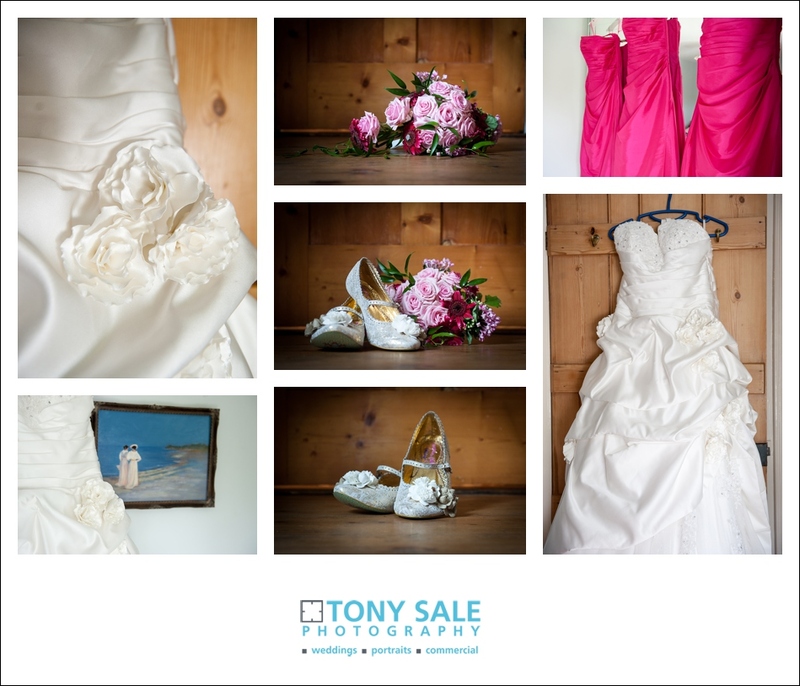 Her wedding dress was stunning as were her shoes and flowers which I thought looked particularly beautiful photographed against the natural wood of the floor and door. 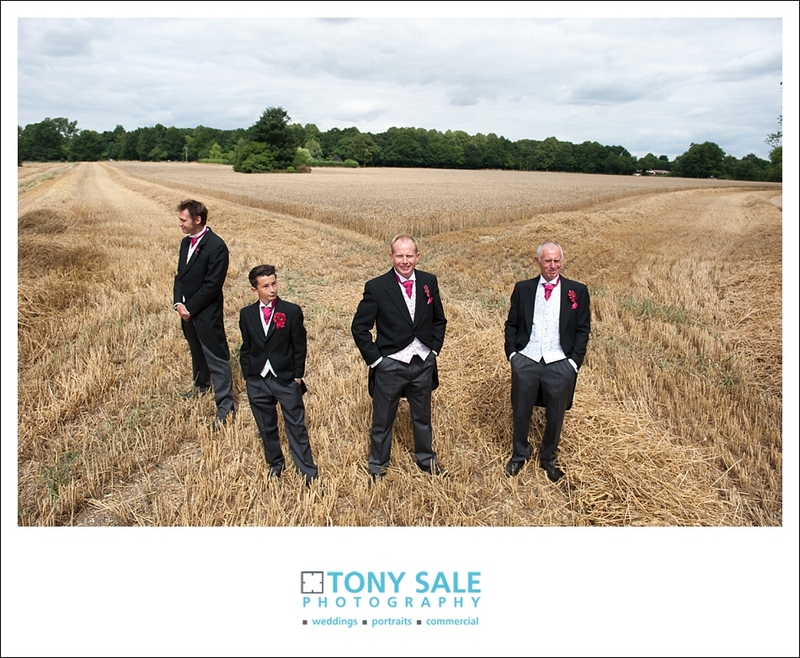 I met Chris, down at St Catherine’s the village church, (a beautiful church if you are looking for somewhere to get married in north Essex) he turned up with his best man Liam and was joined by his dad and the ushers. They were all up to being photographed and we captured some great photos of the four of them together. I had checked out the area around the church a few days before the wedding and noted right alongside the church was a fantastic field of ripe corn which I thought would make a great setting for some photos…but, guess what? On the actual day of the wedding itself there was a huge great combine harvester busy at work cutting down the corn right in front of our very eyes and throwing up great plumes of dust in the process. However it actually worked out quite well as the cut stubble also had a rich golden colour to it and also made a great setting / background. I love the light inside Gosfield church, natural and soft, and it was such a pleasure to photograph the ceremony and to capture the emotion and special moments between Tanya and Chris. 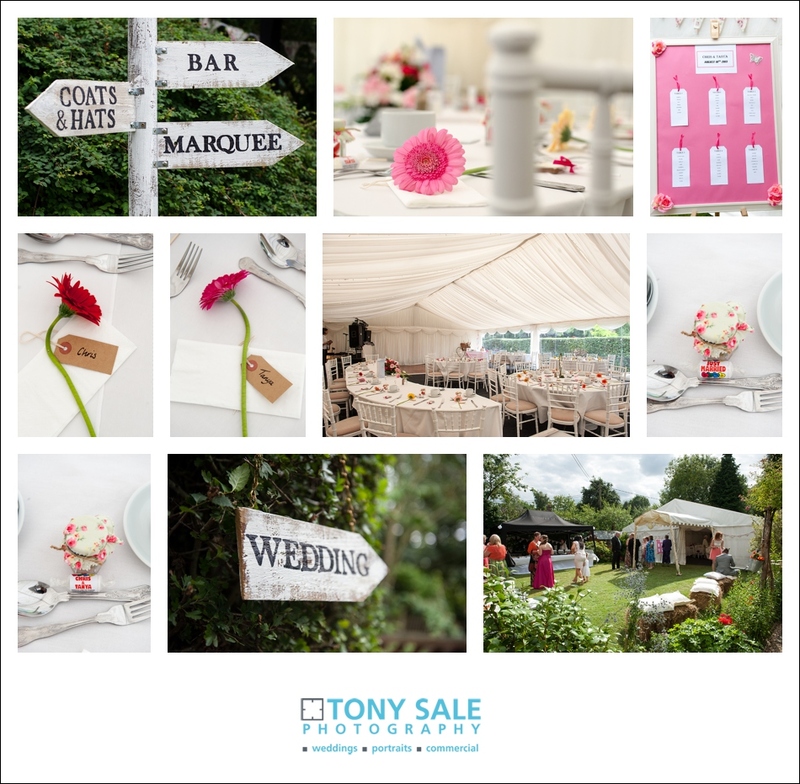 The wedding breakfast was in a magnificent marquee in Tanya’s parent’s garden. It really did look fantastic and it was a great opportunity to photograph family and guests and even chat to a few people I knew. The corn fields and the soft evening light provided the ideal combination to go out and take some more beautiful romantic shots of Tanya and Chris enjoying some quiet and reflective moments together. 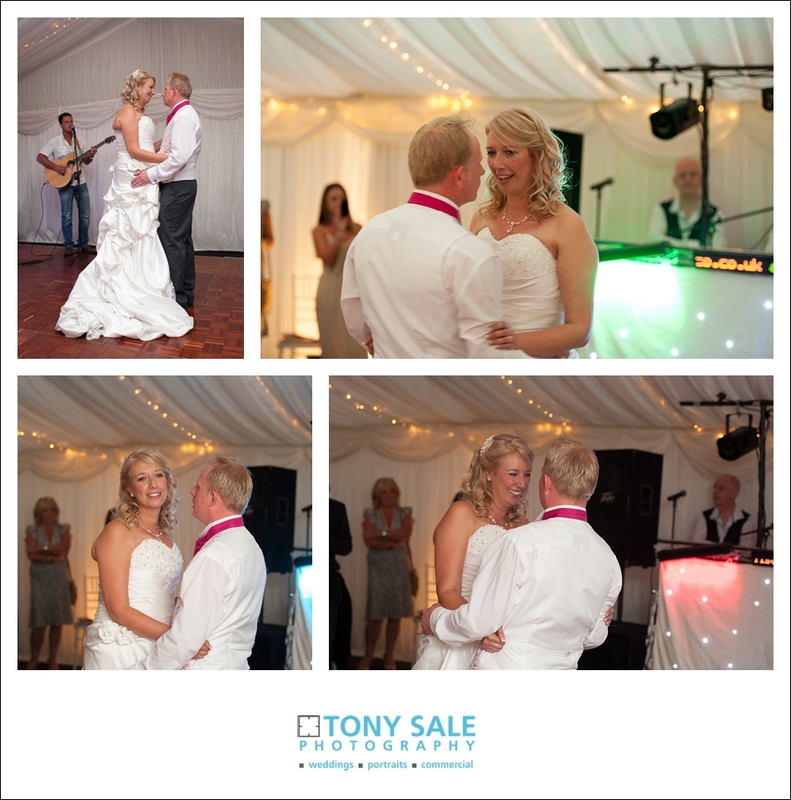 Congratulations Tanya & Chris! 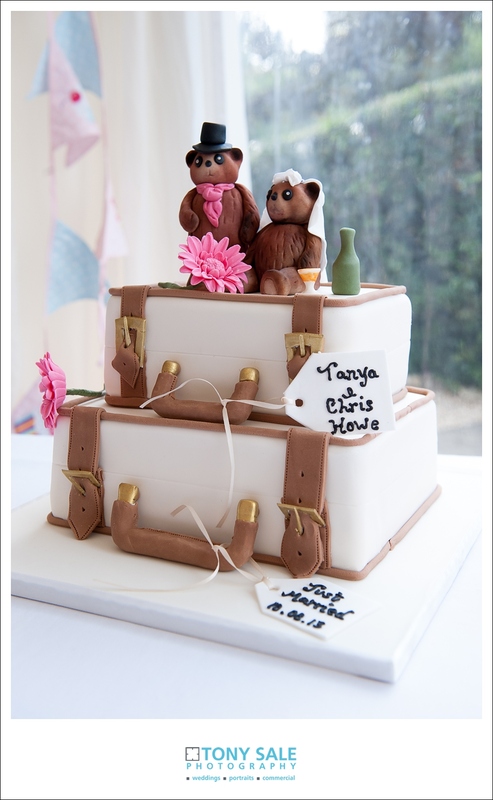 Here’s hoping you have a wonderful married life together.